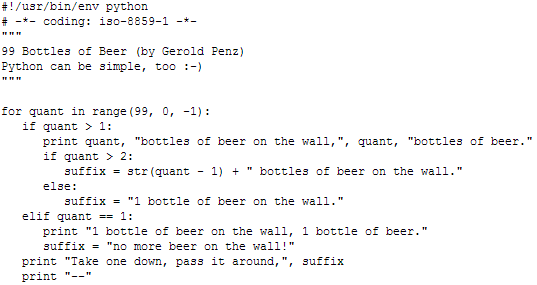 Judging by the count of programming languages that were used to convey this lyrics, software developers have some special kind of love for beer. I’m not a software developer, but I’ve been around many programmers who like to spend their late nights in the office with a slice of pizza and a bottle of beer nearby. Of all the drinks that humans can possibly allow in the office space, with the exception of coffee, beer is probably the most popular one, especially for late afternoons. It appears that beer has the quality that makes it a secret productivity booster, which is never advertised as such, but rather taken jokingly. Heh, you weird programmers, who can create something useful while drinking beer? That’s what an ordinary human might think. tagged with Why Programmers Love Beer?